I have been thinking about getting a new camera for the trip. 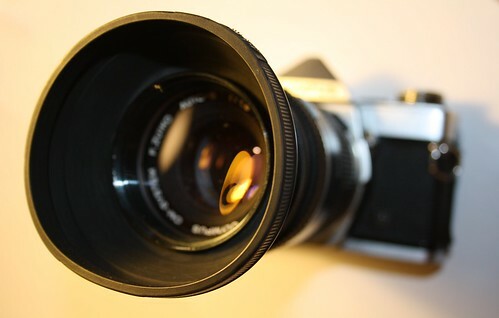 I’d love to have a DSLR camera, though I have no idea how to operate one. The trip seems like a good time to learn. We will have incredible scenery to shoot and endless time to fiddle around and read the manual. There is a drawback, of course: weight. Do I want to haul a big camera around 24/7 for 23 weeks? I know myself, and I would be so paranoid that it would get stolen that I would want to keep it with me at all times. Clearly, a point-and-shoot camera would be far lighter and far less cumbersome. But if I am going to learn to use a good camera – ever – wouldn’t now be the time? I’m grateful! to Deb for lending us her five big tables for the garage sale; they made the day! I’m lighter! by another five boxes of stuff to Goodwill. There are two more boxes, a shoe rack, a TV, and a couple of plastic totes sitting by the door to go tomorrow. Oooh! I want one, too, I think. I can’t decide either! If you will be blogging your way through Europe, think of how easy (or not) it woudl be to upload from a DSLR… Just a thought. I love my Canon Rebel XSi … it’s nice because it is both manual and automatic so if you don’t have time to fiddle with the settings, you can quickly shoot something. it’s very user friendly. it is bulky and if you have an added wide lense it would be even bulkier but the payoff is awesome photos! although when traveling i usually pick up postcards anyway because those photos tend to be amazing. I’m a Nikon girl myself. Don’t get me wrong…Cannon is a good camera but Nikon…besides making a great camera, has unique editing software. It all really depends on what kind of picture you want to take, what you want to do with that picture later and how much post processing time and interest you have to invest. check out http://www.dpreview.com/ to read reviews and do some comparing. oh…and Lori….it appears the devotedtomartha blog was deleted and I can’t find the cookiefun blog to show Eric. Help!!! !